While I enjoyed Avatar, I am not a fanatic. I would have purchased the theatrical version of the movie if it had included special features, but the bare-bones original home video release had none. Considering how many people claim the filming process of Avatar will “forever change cinema,” I want to see what exactly they did that was so unique. So I put off buying the Blu-ray until now. Although I just wanted the special features, it now looks like I will be getting a lot more than what I really want. 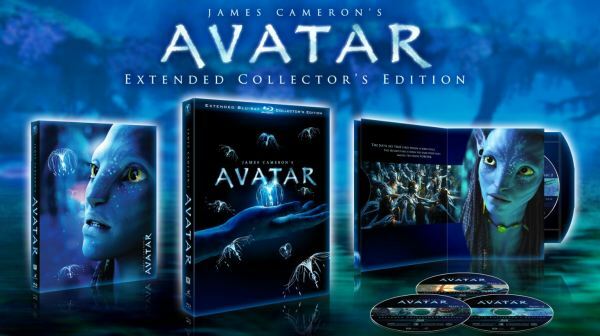 The Hollywood Reporter broke the news tonight that James Cameron’s special edition finally received an official release date – Nov. 16, 2010. This release of Avatar will not only feature all of the makings-of extras I want, but an additional 45 minutes of footage not seen in the theatrical cut. However, if you are buyer of 3D Blu-rays, you will still have to wait to see Avatar in the third dimension from the confines of your own home. The 3D version will not be available until sometime in 2011. In conjunction with the release news, the Los Angeles Times has posted an exclusive trailer for the extended collector’s edition which can be seen below.